2019 Mothernest Great Lakes Pro. MATT BANTING RETURNS TO THE PODIUM, TAKING OUT THE 2019 MOTHERNEST GREAT LAKES PRO. 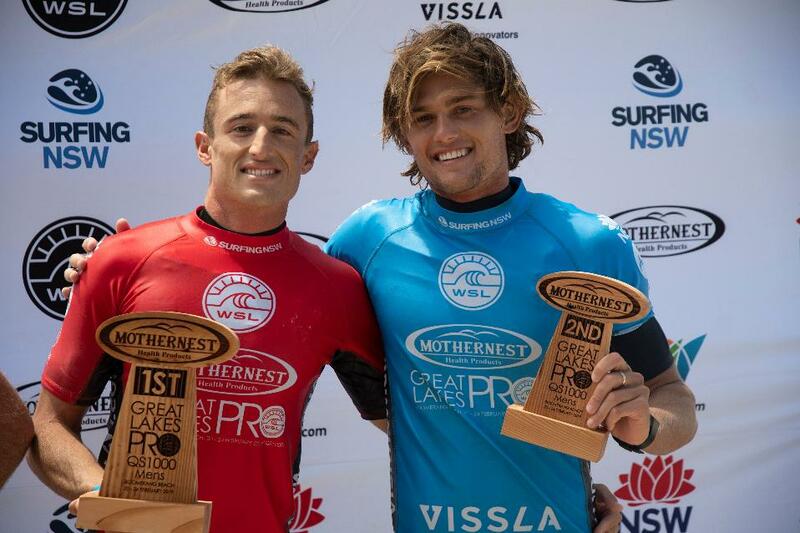 Matt Banting (Port Macquarie, NSW) has claimed his first World Surf League (WSL) Qualifying Series (QS) victory since 2014, taking out childhood friend, rival and fellow unsponsored surfer Cooper Chapman (Narrabeen, NSW) in the final of the 2019 Mothernest Great Lakes Pro. 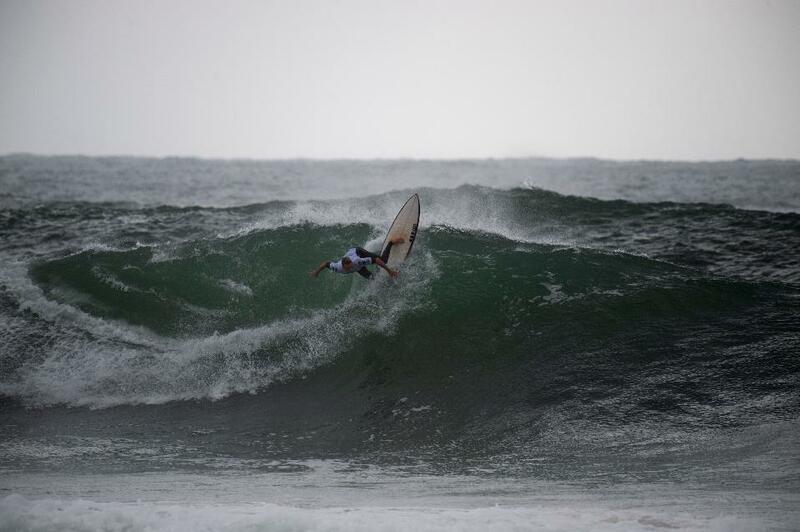 Banting put on a solid clinic of surfing over the duration of the event, however the natural-footer hit his stride in the final posting two excellent scores, a 9.00 and an 8.00 to amass a giant 17.00 two-wave heat total. The win at Tuncurry puts Banting’s qualification campaign into full-swing as he comes into the Vissla Central Coast Pro, Burton Automotive Pro and the Vissla Sydney Surf Pro at Manly. Despite runner-up Cooper Chapman’s start in the 2019 Mothernest Great Lakes Pro being in doubt only two days ago due to illness, the northern beaches native rose above the aches and pains to seal a spot into the final alongside Banting. Chapman’s goal of claiming his maiden QS victory was ultimately derailed, but nevertheless, the natural-footer is leaving the Great Lakes with his head held high. The AirAsia Wave Of The Day was awarded to Chapman for his dominant performance throughout the event. The elite five-day QS 1000 rated event will form the second of three stops on the Vissla NSW Pro Surf Series and will take place at Boomerang Beach from the 20th February – 24th February 2019. The Vissla NSW Pro Surf Series was developed for Australian and International surfers to gain ranking points and prize money on the WSL Qualifying Series. The series also creates a NSW coastal road trip for all to explore the variety of waves, visit local communities and enjoy NSW surfing culture. The 2019 Mothernest Great Lakes Pro ran on the Barrington Coast, with some of the world’s most promising surfers competing. Remember if you’re driving around the region in the event window #notxtnowrecks bought to you by Surfing NSW and supported by NSW Government Community Road Safety Grants program. The 2019 Mothernest Great Lakes Pro was supported by the NSW Government. The event will also be proudly supported by Mothernest, MidCoast Council, Moby’s Beachside Retreat, Vissla, Volkswagen, AirAsia, H2Coco, WSL and Surfing NSW. ELLA WILLIAMS TAKES OUT WOMEN'S DIVISION AT THE 2019 MOTHERNEST GREAT LAKES PRO. Ella Williams (NZL) has claimed her maiden World Surf League (WSL) Qualifying Series (QS) victory, taking out the Women’s division at the 2019 Mothernest Great Lakes Pro in heavy four-to-six foot surf at Tuncurry. Williams ability to consistently post decent scores on longer running lefts proved to be an advantage as she moved past Cannelle Bulard (FRA) in the semi finals and Zahli Kelly (Cabarita, NSW) in the final. The Kiwi goofy-foot performed a mix of powerful forehand snaps in the final against Kelly, posting a decent 13.50 two-wave heat total to claim her first QS victory by less than a two-point margin. Despite moments of brilliance in the final, Kelly was unable to find the necessary seven-point ride required to top Williams. Nevertheless, Kelly walks away from the Mothernest Great Lakes Pro, with her head held high and confident going into the upcoming Vissla Central Coast Pro and Vissla Sydney Surf Pro QS events. 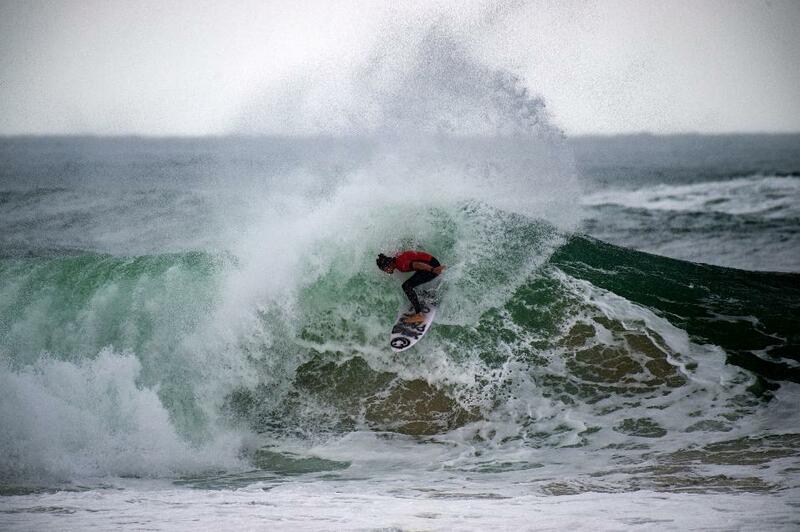 Despite being overcome by a mystery illness, Cooper Chapman (Narrabeen, NSW) made his return to QS competition today. 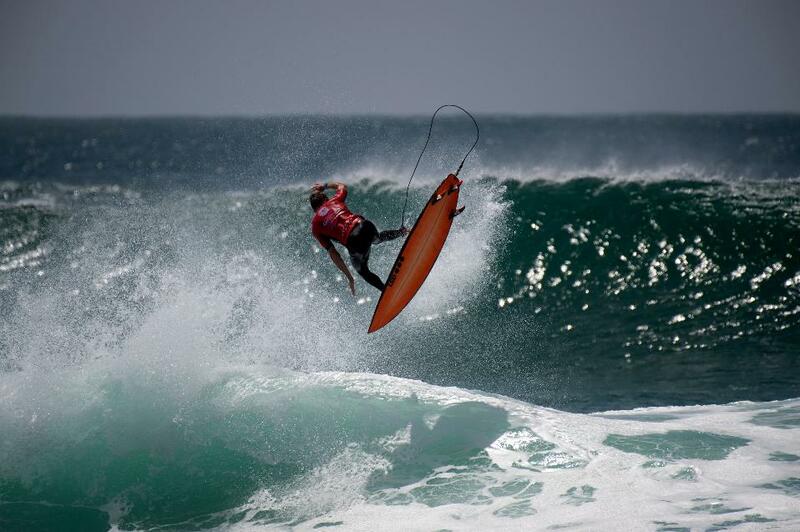 Chapman proceeded to claim victories across round four and five and kept the momentum going in his bid to qualify for the WSL Championship Tour. Former Championship Tour surfer Matt Banting (Port Macquarie, NSW) stamped his authority on his round five heat with a series of backhand gauges to claim a near-perfect 9.6 scoring wave. As a result, Banting (Port Macquarie, NSW) claimed the AirAsia Wave Of The Day for his impeccable performance. The 2019 Mothernest Great Lakes Pro is happening right now in the Barrington Coast, with some of the world’s most promising surfers competing. Remember if you’re driving around the region in the event window #notxtnowrecks bought to you by Surfing NSW and supported by NSW Government Community Road Safety Grants program. The 2019 Mothernest Great Lakes Pro is supported by the NSW Government. The event will also be proudly supported by Mothernest, MidCoast Council, Moby’s Beachside Retreat, Vissla, Volkswagen, AirAsia, H2Coco, WSL and Surfing NSW.